Baobab trees in eastern Zimbabwe are dying due to a mysterious disease, creating a food security crisis in the drought-stricken country, international news agency Reuters has reported. The giant Baobab tree has long been revered as a way to survive drought in this part of Southern Africa. Families cook and eat the leaves as a vegetable. The fruits can been eaten raw or cooked into porridge. Baobab seeds substitute for coffee. And the bark fibre can be woven into mats. However, at a press briefing in May, a senior official with the National Museums and Monuments of Zimbabwe, Paul Mupira, told journalists that baobab trees were dying in large numbers. "Animals are eating the young plants," he was quoted by Reuters as saying. "People eat the small plants too as vegetables." The affected areas lie in the Chimanimani, Chipinge, Buhera and Mutare districts. Environmentalists suspect a disease is attacking baobabs, particularly those that have had part of their bark harvested. “Initially, the disease attacked damaged trees but it's spreading to other trees. And the disease is spreading very fast," warned Lawrence Nyagwande, who heads Environment Africa, a non-governmental organisation in Zimbabwe's Manicaland province. "Normally it takes six months or more for trees to recover after the barks have been removed for mats," said Clive Kapfumvuti, a local village resident told Reuters. "And during this recovery time trees are susceptible to the disease". With Zimbabwe struggling with a devastating El Nino-induced drought, which has decimated more than half of the country's food crops, many people in drought-hit areas of the east are now depending on baobabs for survival. But with the mysterious disease affecting the baobab trees, residents could in trouble in terms of both, food and livelihood. "Unless something is done as matter of urgency, baobabs face extinction," he predicted. 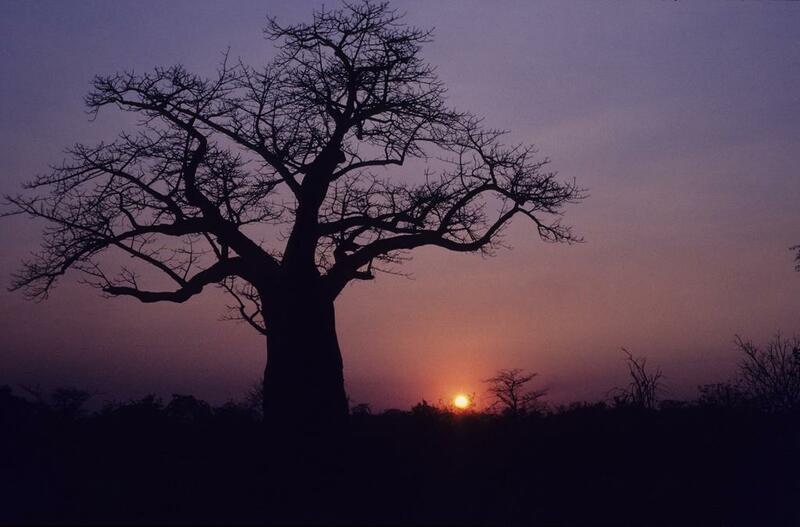 Water relations of baobab trees (Adansonia spp. L.) during the rainy season: does stem water buffer daily water deficits?